Jaded Blossom: Have a Tasty Holiday! Jamie here to share a sweet treat! 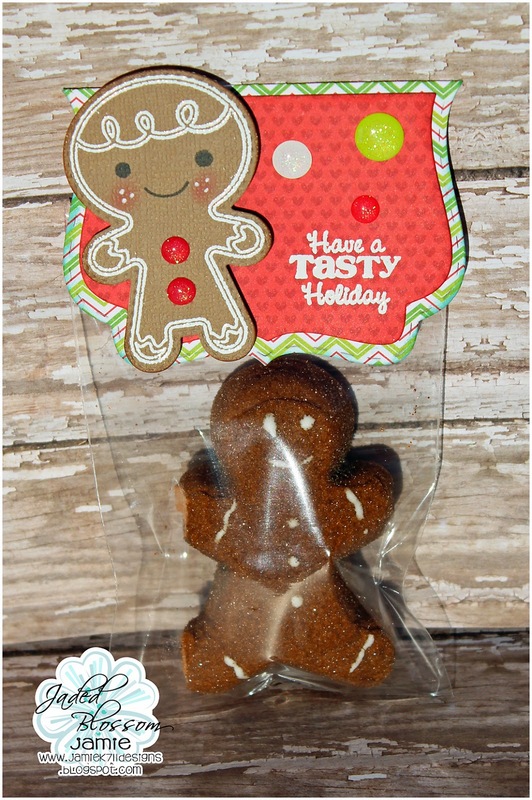 I found some gingerbread peeps and thought they'd be perfect with the Gingerbread Wishes set! I put the peep inside of a 3x4 bag. 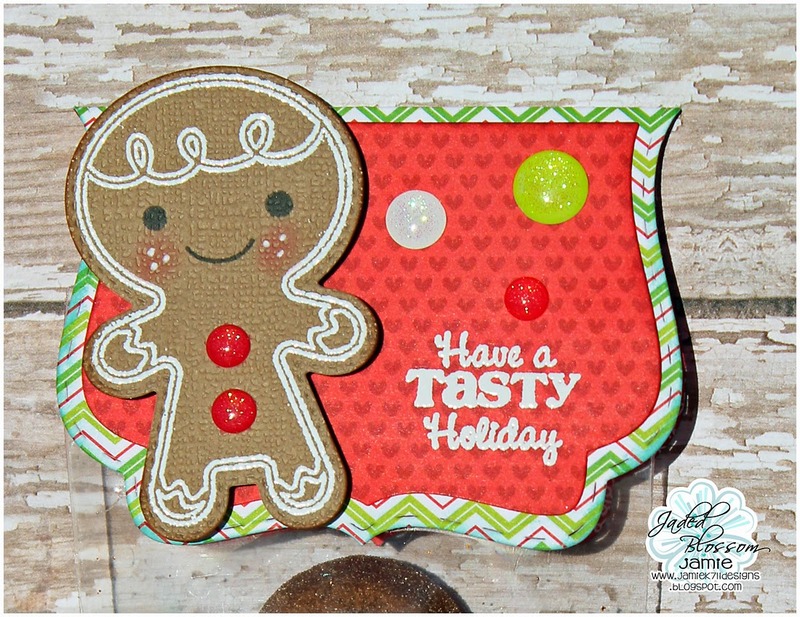 I used the Fancy Topper Die and heat embossed the sentiment and the outline of the gingerbread boy. Then I finished it off with some sprinkles. Love this! Such a sweet idea! !